Marketing is meant to be creative. As much as you need to make sure that the campaigns you create are effective and on-target, you also need them to be interesting and exciting. It’s worth thinking outside the box and trying to come up with game-changing marketing strategies. Otherwise, everyone would still be using radio jingles and TV commercials to reach consumers! That’s clearly not how the world works anymore. But, are you sure that your marketing campaigns are as engaging as they can be? If you have to think about your answer to that, you need to switch things up a bit. 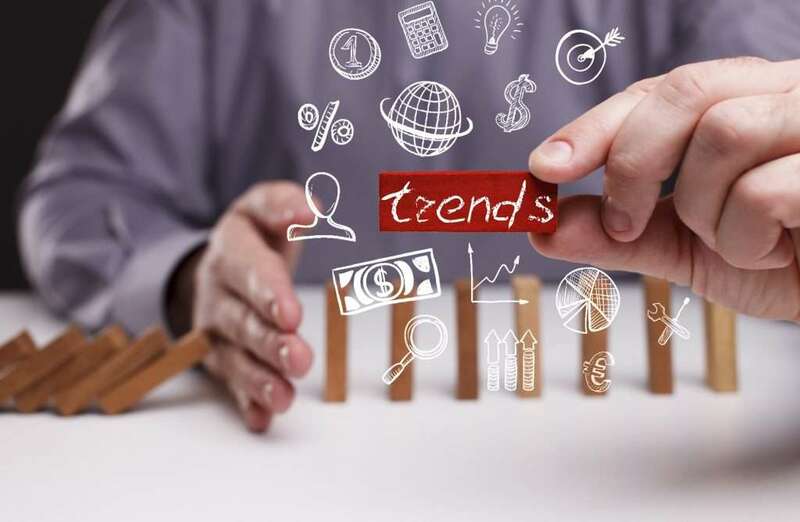 Here are eight of this year’s top marketing trends to consider using in your next campaign. Think of all the devices you talk to on a daily basis. You can voice command everything from your smartphone to your home speaker to your car and much more. It’s only natural that consumers are using this feature when searching for things online! They’re asking Siri to look up the closest dental office or using voice search within Spotify while they drive. They’re using voice commands to search for everything from food and entertainment to news and current events. As such, it’s your job to make sure your content is optimized for this style of search if you want to make it easier for users to find you. As far as marketing goes, AI is arguably just as big as voice search. More and more companies are using this to reach consumers via messaging systems. AI communicates with users when they ask customer service questions or need an answer to a frequently asked questioned. Some AI bots are able to assist users during their order placement/fulfillment process, too. Video content was already a pretty big marketing trend, but it has blown up even more. Lots of companies are now making custom videos the main attraction on their homepage. They’re using videos to hook users from the second the visit their website and to guide them through the buying process, too. Videos are also useful on social media, as part of email campaigns, and as vlogs. It’s hard to go wrong when using this marketing tool. Unless of course, you rush the process and settle on a sub-par video. Up next on the list of this year’s marketing trends is influencer marketing. Influencer marketing is essentially networking on a large scale. It’s a marketing tool you can use by hiring a well-known thought leader or influencer to share your brand with their audience. Or, it’s something you can dive into yourself as you work to establish authority as an influencer in your own industry. This gives you a significant amount of trust and credibility with your audience. It gets current users excited about where your brand is going and it makes new potential users pay more attention to who you are and what you do. Here’s a thought: how many times do you think of something throughout the day that you need to search for? Whether you’re pulling up Google, Facebook or Instagram, or asking Siri something, you’re likely engaged in a lot of these micro-moments. You need to figure out how to leverage these from a marketing perspective. People are always thinking, and when they think about something that matters to them, they’re going to search for it. You have to be able to place yourself in front of them by coming up on the search results they see. The best way to make use of micro-moments is to publish relevant, interesting content on a regular basis. But if you want to take the value of your content one step further, make it purposeful. This creates a strong emotional tie with your users. It encourages them to buy-into your overarching company values or to connect to a social initiative you stand for. They feel like their buying power matters more when they know it’s going to a higher purpose, which could be a reason that many consumers will choose your company over a competitor. Keep in mind that marketing isn’t just about talking to consumers. You want to create a conversation with them, and part of that means getting them to talk back. In other words, you want to encourage user-generated content. This is huge for your SEO performance and your overall brand reputation. When consumers start writing more and more positive reviews and sharing your posts on their social media pages, your marketing efforts skyrocket. It’s a natural surge that happens because they’ll be a bit of “buzz” going on around your business. But, there’s also plenty of content to back up this buzz and get the attention of new users. The final way to set yourself apart with marketing campaigns this year is to host an event. Although so much of what we do is digital these days, people still want to feel a tangible connection to your company. So, why not host a panel with industry thought leaders or invite users to a special on-site event? Would you be willing to do a meet and greet with some of the top people in your company or to create a fun event that you’d be able to tie a sale into? It’s not like you have to host live events all the time or even go all out when you do. But, giving users face time with the people behind your business and those you partner with could create amazing results. It’s one thing to understand what this year’s top marketing trends are and another to know how to put them to use. You may not have the time to plan an event yourself or to figure out how to encourage more user-generated content. But, someone out there is guaranteed to have the knowledge and experience necessary to make your marketing campaigns succeed. Actually, we have plenty of marketing services to help you reach the success you’re looking for! Click here to learn more.